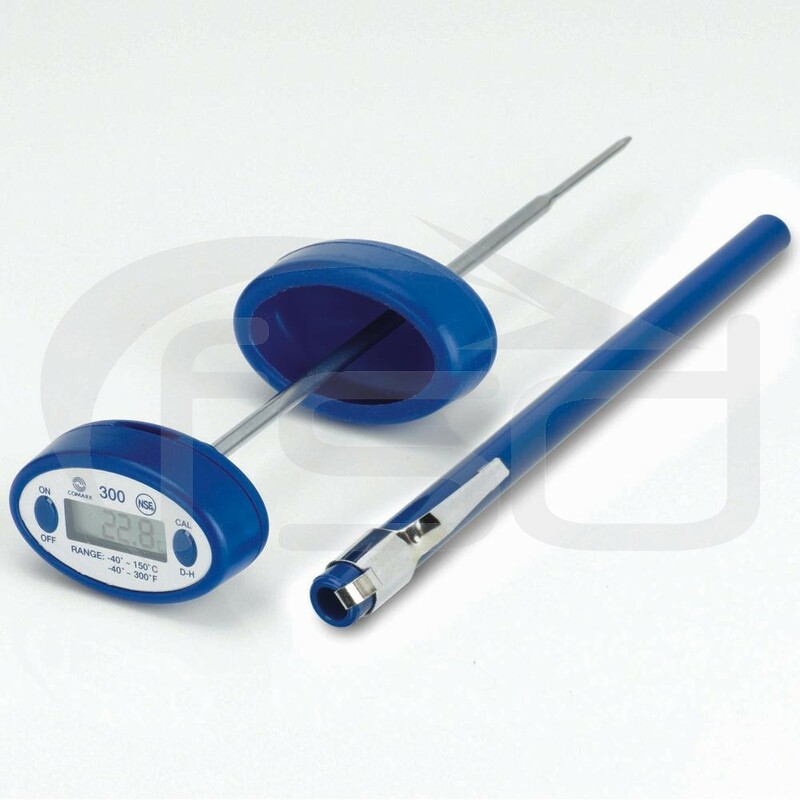 This robust little thermometer features a thin tip for faster response time (less than 6 seconds). 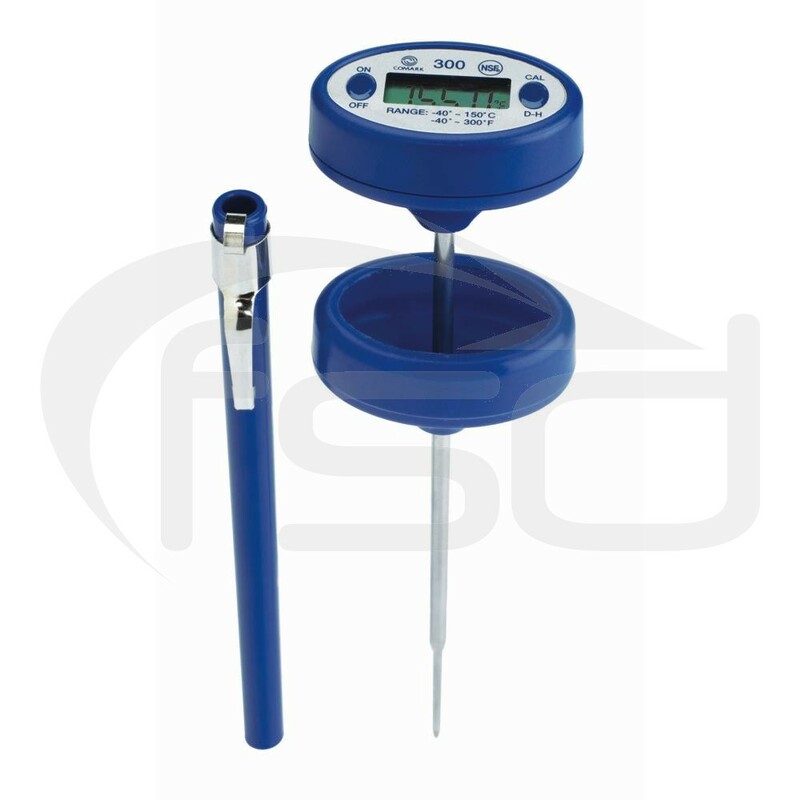 It is supplied complete ith a rubber boot which is designed to protect the thermometer if accidentally dropped. 1. Put some water and crushed ice into a clean mug or water bath (approx 60% crushed ice to 40% water). 2. Insert the thermometer into the ice solution until the stem is covered to at least half way along its length. 3. Wait for the reading to settle. 4. Press and hold the D-H button for 8 seconds to begin calibration. 5. "CAL" will be displayed on the LCD screen and calibration at 0°C will be complete.